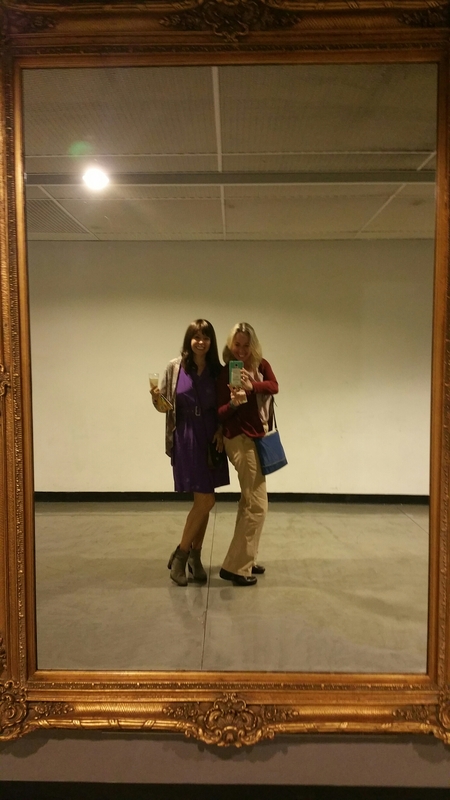 Joanna and me at the first preview of Shear Madness tonite. 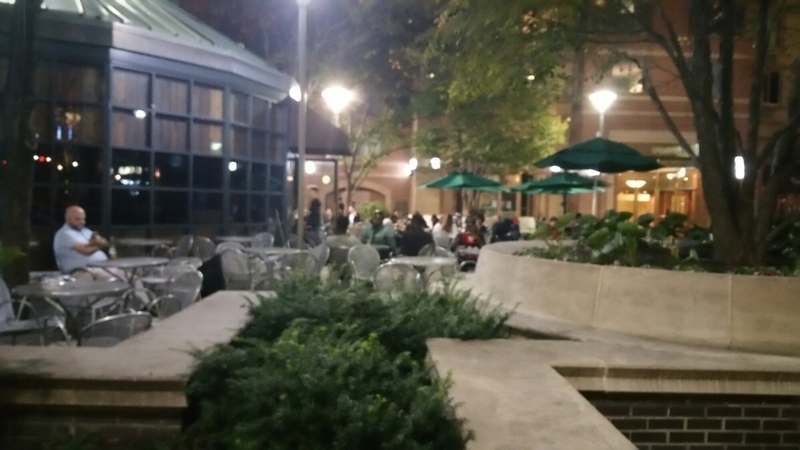 So balmy, people just hung out in the outdoor cafes, drinking in the evening. 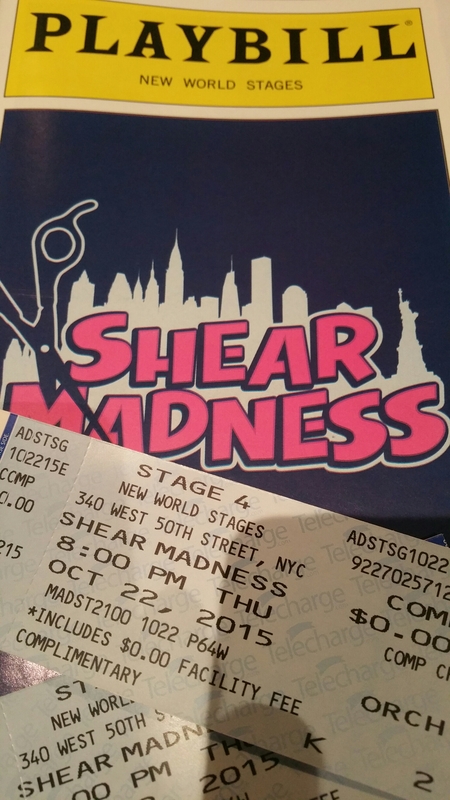 On a beautiful warm night towards the end of October, what is more fun than citibiking it over to the theater for some Shear Madness. Tonite was the first preview but the cast had the slamming doors and silly business down pat. The small ensemble was perfect. I found myself laughing out loud when I should’ve been groaning. The script had a ton of contemporary references (Hillary’s emails and the Mets win!) But the cast never stumbled. Sure, they stuttered. But they were guilty – or were they? You decide! That’s the fun of this production. It’s a beauty shop whodunnit with the audience asking questions of the cast and deciding the identity of the killer. Funnily enough, I was sure I’d seen this show before — a million years ago in New York, but I was told that it’s only been performed in D.C. and Boston. Maybe I dreamed it. Or maybe tonite’s play was a dream too — A Mid-Autumn’s Night Dream. Thanks to the people of Serino/Coyne and Shear Madness who gave me the ticket and a sip of champagne. But that did not impair my judgment. I still know who did it! And if you go, you’ll know too. But you might have a different take. Go see it, then tell me who you and your fellow audience picks as the killer. Only the hairdresser knows for sure. But which hairdresser?